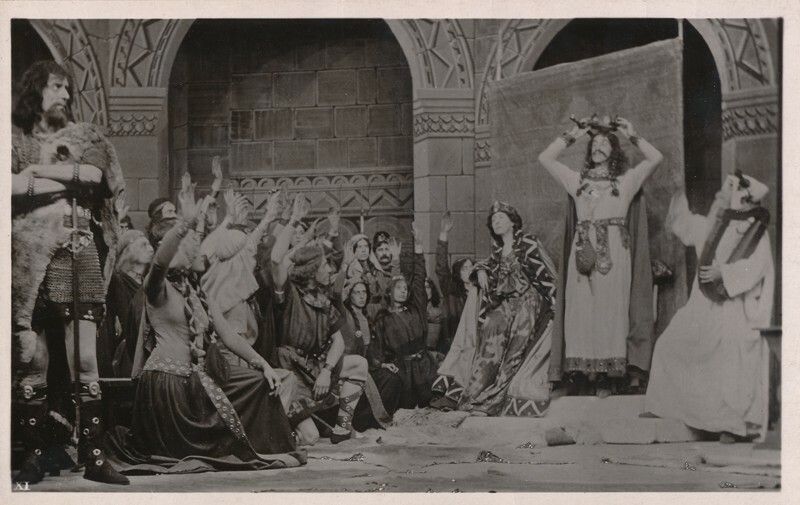 Carrington made his first stage appearance in 1904, and the next year, he played his first part in Shakespeare in Cymbeline at the Queen’s Theatre, Manchester. He spent eight years with Frank Benson‘s company and played many major roles in Shakespeare. 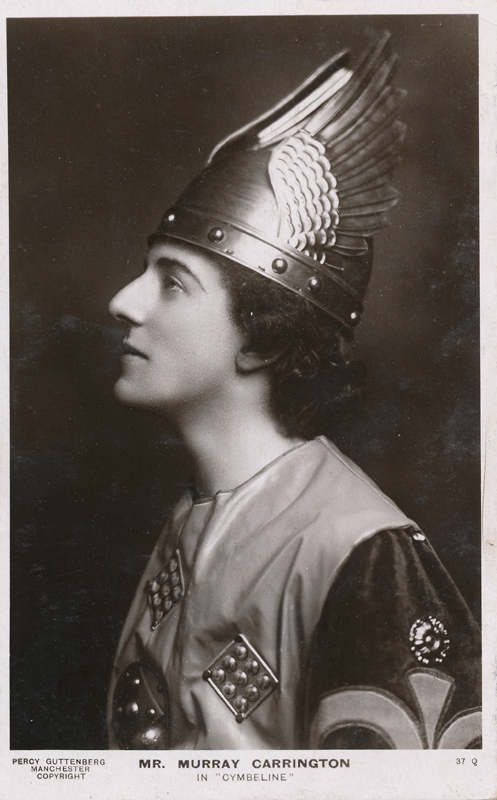 After leaving the military in 1919 he revived his career at Stratford where, eventually, he played in over 140 productions. Among his parts were Caliban, Mark Antony (Julius Caesar), Oberon, Ford (Merry Wives of Windsor), Leontes, and Mercutio (1919). Other parts in various venues included Bassanio, Othello, Shylock, Richard II, Hamlet, Benedick, Gioachino (Cymbeline), Orsino, Orlando, Henry V, Macbeth, and Cassius (Julius Caesar). After 1922, he broadened his repertoire and acted in a number of contemporary plays. When he returned to Shakespeare he was the first actor to play the role of Hamlet for a radio audience in 1928. He also appeared in three Shakespeare films in 1911, but his career was on the stage.